October 2, 2012 — Comments are off for this post. I love working on design for incredible organizations with amazing and talented people! 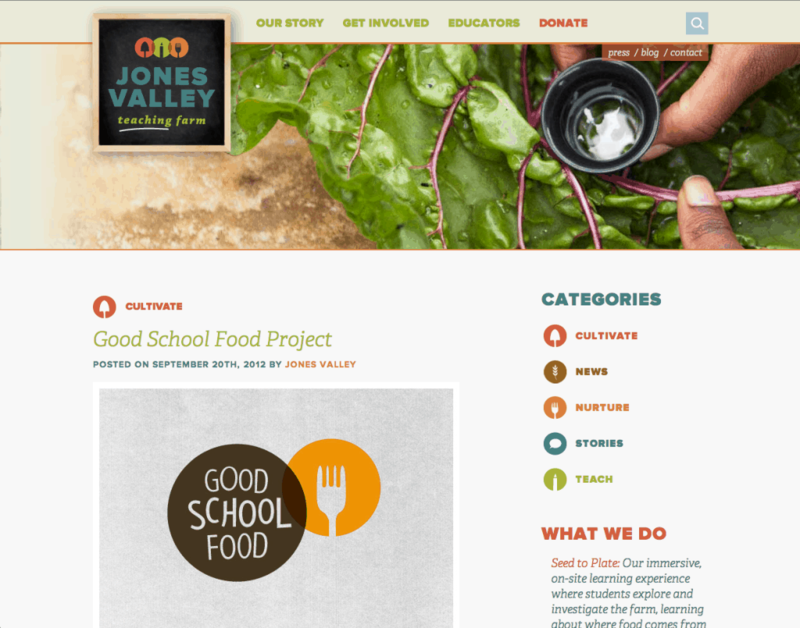 This past spring, I was able to collaborate with Kelly Housholder, Cary Norton, and Jordan Sowards on rebranding for Jones Valley Teaching Farm in Birmingham, AL. Under the creative direction of Kelly, we collaborated on the rebranding, logo, and color palette.. which she then worked to produce some incredible messaging copy from Jordan, which is all pulled together by the brilliant photography that Cary took! All of this while working closely with JVTF's executive director, Grant Brigham. 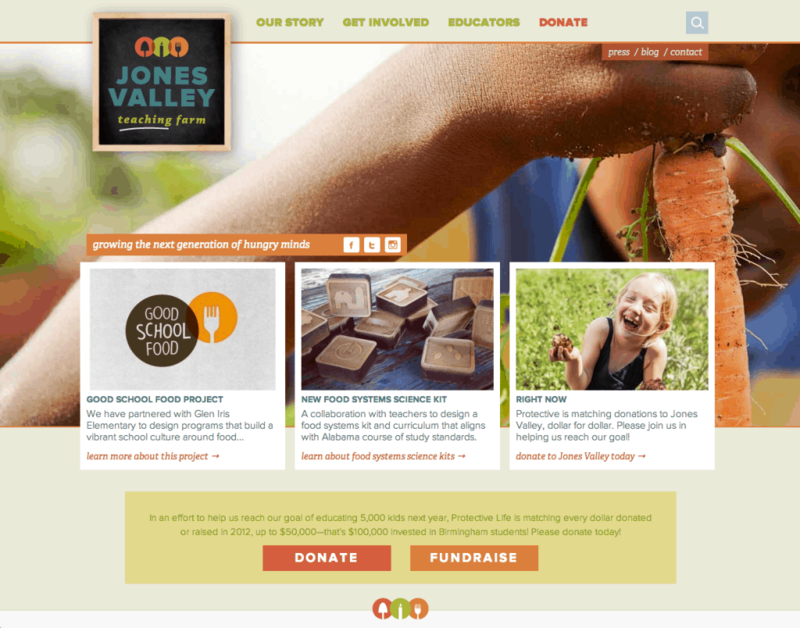 I can't tell you how thrilled I am to be a part of this relaunch, for such a great organization We renamed them from "Jones Valley Urban Farm" to "Jones Valley Teaching Farm" to more accurately portray what their main initiative is in our community: Education. Likely the contrast and typography of the website.